The Electro-Voice ZX3-60PIW is a 2-way P.A. passive loudspeaker with a 600-watt continuous power handling capacity and a 60x60° coverage angle, for long-throw and cluster applications. 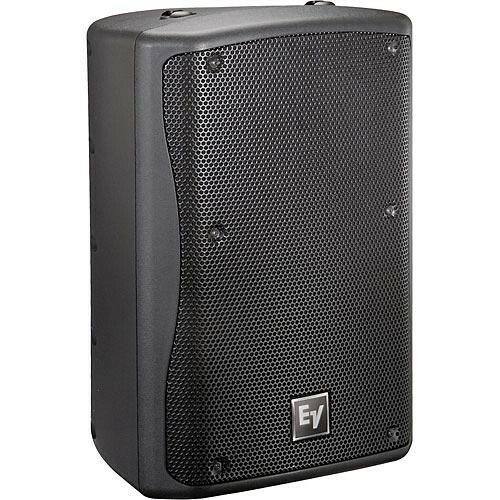 The high-tech, high-impact polypropylene enclosure houses a 12" woofer and a 1" Neodymium compression driver with a large 2" voice-coil. The ZX3-60PIW cabinet is equipped with 10 integral suspension points for permanent suspension or bracketing, and 3 Anchor Plates for single-stud fittings, with an additional pair of Anchor Plate attachment points on the bottom of the speaker. This speaker has water-resistant powder coated stainless steel grilles and waterproof glandnut input panels with SJO cable. Box Dimensions (LxWxH) 26.0 x 16.5 x 15.0"